Tucked into the Northern Alps along the Salzach River is the picturesque city of Salzburg, Austria. Best known as the birthplace of 18th-century composer Wolfgang Amadeus Mozart and the backdrop for the classic film and musical "The Sound of Music," Salzburg is a fairy tale setting come to life. The Birthplace & Residence of Mozart: The building where the composer was born and raised now serves as a museum documenting his life and accomplishments. Hohensalzburg Castle: Dating back to 1077, this castle is one of the largest medieval castles in Europe. 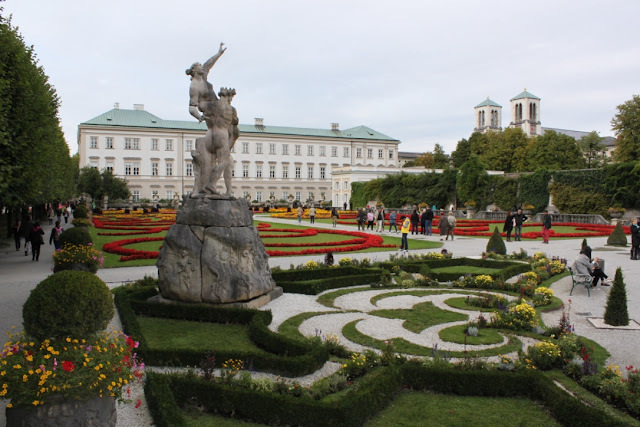 "The Sound of Music" Tour: Highlights include various filming locations from the 1965 classic, including Mirabell Gardens, Leopoldskron Castle, Hellbrunn Castle, Nonnberg Abbey, St. Gilgen and Lake Wolfgang, and Wedding Church Mondsee. Mirabell Palace: UNESCO World Heritage Site dating back to 1730; historical building with geometrically-arranged flower gardens and mythology-themed statues. Schloss Leopoldskron: Palace built in 1736 which served as the main exterior filming area for "The Sound of Music." Hangar-7: Owned by the Red Bull company, a collection of historic airplanes, helicopters and Formula One racing cars. Salt Mines: Tour 450-year-old mines below Obersalzberg mountainside complex by descending into captivating grottos. Salzburger Freilichtmuseum Großgmain: An open-air museum containing old farmhouses from all over the state assembled in an historic setting. Schloss Klessheim: Palace and casino formerly frequented by Adolf Hitler which also served as the summer residence of the Archbishops of Salzburg. Eagle's Nest or Kehlsteinhaus: Hitler's mountain retreat sitting at 1,834 m (6,017 ft), which was gifted to him on his 50th birthday by the Nazi Party.